Misty is gorgeous and awesome! 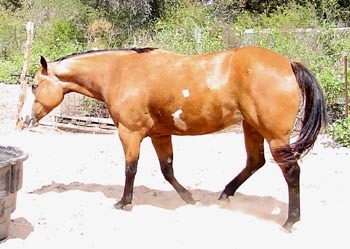 She goes on a loose rein and light cues, transitions up and down, sidepasses, pivots on hind and fore, backs through obstacles, knows her leads, bows down, comes when you call her, gives hugs, etc, etc, etc. 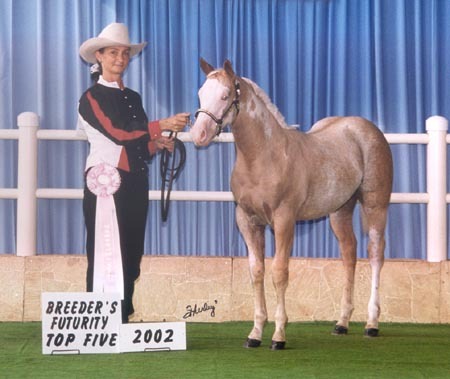 She was the STP 1998 Reserve Futurity Champion Weanling filly of 12. She is ready to go just needs finishing. Should make a beautiful, excellent show prospect. She is Awesome. 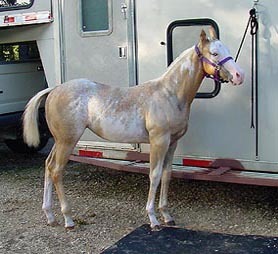 Bred to APHA/PtHA "R Greatxpectations" for a 2002 foal. 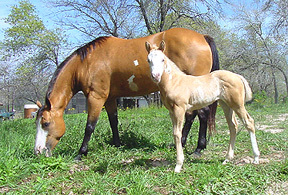 Misty had her first and only foal on March 10, 2002. 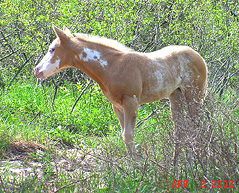 A beautiful palomino painted filly. 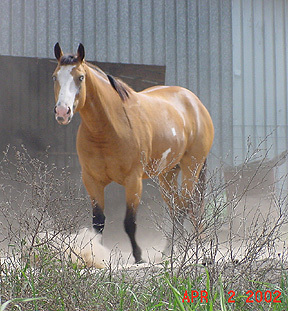 See Below for photos of "Pepper"
Sad News: We were all shocked and heart broken to learn of Misty's untimely death on July 20 2002. She definitely had a way of stealing your heart and she will be sadly missed. Misty is in God's hands now. We are lucky to have had the opportunity to know and love such a wonderful horse. 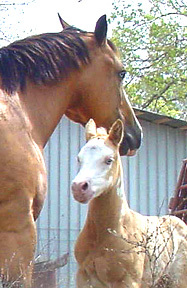 her filly, Setnthe Nightonfire. 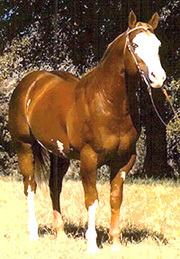 aka ~ "Pepper"
NEWS FLASH ~Pepper is a Futurity Money Winner!!! 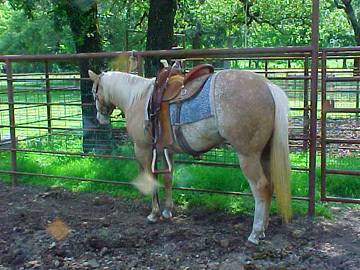 Thank you and congratulations to Sandy of Smiley, TX for the purchase of this beautiful mare.